When you need to plan a special celebration, get in touch with us so that we can show you how the Royal & Fortescue could be the dream venue for your banquet or function. 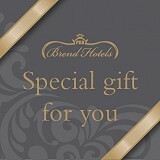 It might be a special birthday or anniversary, a family celebration or an important group event. We have the breadth of experience you need to ensure that every little detail is taken care of. From an imaginative buffet through to a spectacular banquet, we have a superb range of menu options so that you can select the style that is just right for you. Our outstanding team of chefs will create a truly memorable meal to impress all your guests, served in the friendly and attentive manner you would expect from the Royal & Fortescue. Contact us today so that we can help you create an exceptional banquet or function.